When the Genocide erupted April 7, 1994, he was dressed in that jacket, a t-shirt and shorts. He wore the same cloths until September 1994 when the new government arrived and told them to return to their no-longer-existing homes. Today, the 13 year-old Eric Kamuzinzi whose photo is one of the few remaining items that show the existence of Nyarushishi camp, is a complete transformation. For nearly 12,000 Tutsis who lived in Nyarushishi from April to September 1994, it is a period they never wish for anybody else. And as KT Press reports, Kamuzinzi witnessed his father taken from a stadium by genocide militia, nearly starved to death and lived through presence of French commandos. Type the word “Nyarushishi” into any online search engine, and this particular photo comes at the top. It features alongside those of French soldiers who had crossed into Rwanda from Zaire-current Democratic Republic of Congo. They came with journalists to document what had been billed as a “humanitarian mission”. On the night of April 6, the Rwandan president is killed as his plane is shot down on descent above the Kigali airport. 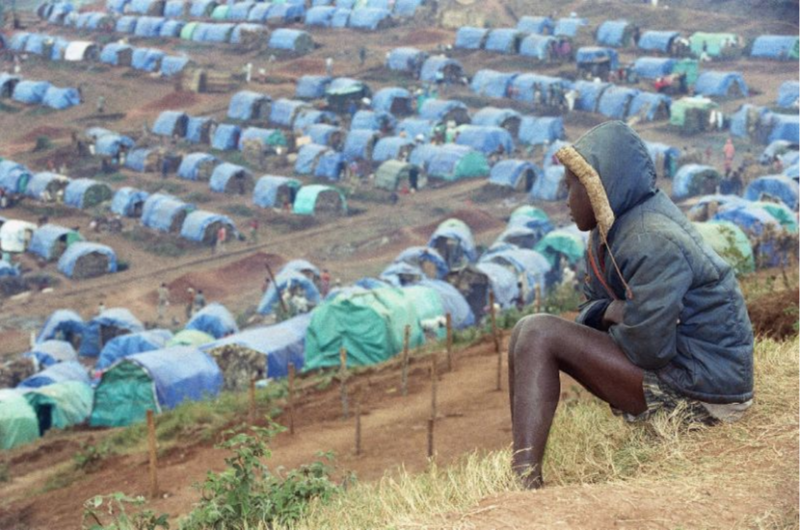 The hours that followed saw government soldiers and civilian militia ‘interahamwe’ set up roadblocks across Rwanda: the Genocide against Tutsi was underway. Some 220km away from Kigali in the south west border region of Cyangugu (today Rusizi district), Kamuzinzi had returned home the previous week for the Easter break. When the massacres began, his father and mother managed to reach the stadium with Kamuzinzi and five siblings in the second week. The Kamparampaka stadium located in Cyangugu city center was where thousands of Tutsi fled. Local officials, the communal police, gendarme and army encouraged them to seek refuge there. It was the only safe place: or so they thought. For days and nights, officials entered the stadium and read out names on a megaphone. Those whose names were mentioned were taken – never to be seen again. For every round of lists, survivors and perpetrators, have testified that at least 50 men and women were taken away. “On many occasions Prefect Bagambiki himself was leading men who read lists…,” says Kamuzinzi in reference to the Prefect (governor) of Cyangugu Prefecture at the time. Bagambiki was arrested in 1998 on a UN indictment for Genocide, but was acquitted in 2004 by the UN court set up to try Genocide perpetrators. On some days, the operations involved scanning around the stadium and picking out well-dressed men and women. All those singled out were educated Tutsis and those believed to have money. “One day, they came. I was standing with my father and they took him away. It was the last time we saw him,” narrates Kamuzinzi. In early May 1994, a new plan came up. To relocate the Tutsis in the stadium away from the city. The hilly Nyarushishi area, about 15km away – is where they were ferried in government buses escorted by soldiers. The relocation took several days. According to testimonies by perpetrators to the UN court, the relocation was conducted so that when the mass massacre was carried out, the slaughter would be done far away from any public notice. Thousands of Tutsis were in the stadium and the regular read out of lists was going too slow. The relocation was commanded personally by Lt. Colonel Innocent Bavugamenshi, the regional Gendarme commander. Nyarushishi site was surrounded by acres and acres of tea plantations. Nobody live here. There was no single tree as the hills had for years been stripped bare of any vegetation. Aid workers from the International Committee of the Red Crescent (ICRC) arrived and set up a small tent health center on the edge of the camp. For weeks, they received dying and wounded tutsi who had been attacked, raped women and starving babies. Inside the camp, people were organized according to the time when they arrived from the stadium. The ‘suburbs’ of the camp were numbered “Stade 1”, Stade 2 – and so on. When a resident mentioned the ‘stade’ with figure, everyone knew which part of the camp they were based. Kamuzinzi has no recollection of when this photo was taken. But remembers many journalists came to Nyarushishi camp. But still vivid memory of the exact spot. He sat here every evening engulfed in thought of a bleak future. KT Press retraced the journey to Nyarushishi with Kamuzinzi. Today, the site dotted with the blue tents back then, is lined with a well-established community. The hill had no trees, but a lush greenery has returned. The tea plantations are still there – even much larger – contributing billions to the country’s national coffers. In the foreground hidden away on the left of this photo was the ICRC facility. It was less than 10 meters away from the exact spot where Kamuzinzi is seated. He sat facing it. 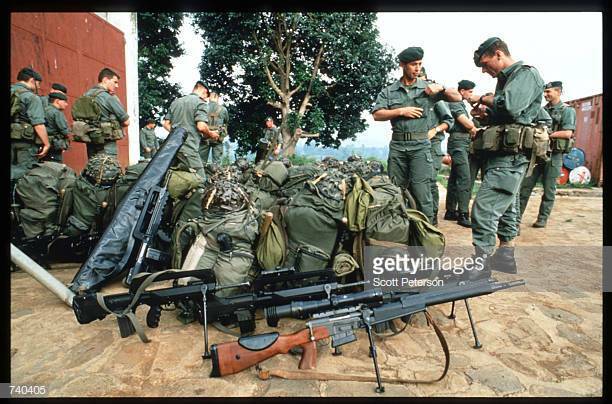 In mid-June, the French government in Paris approved entry into Rwanda of its 2500 troops stationed across in Zaire on Thursday June 23. The first troops crossed into Cyangugu town. In Paris, within hours the military headquarters announced three mass graves were found by the advancing commandos. But the discovery of the mass grave was mentioned in single sentences from the barrage of news stories which were concentrating on the troop deployment. 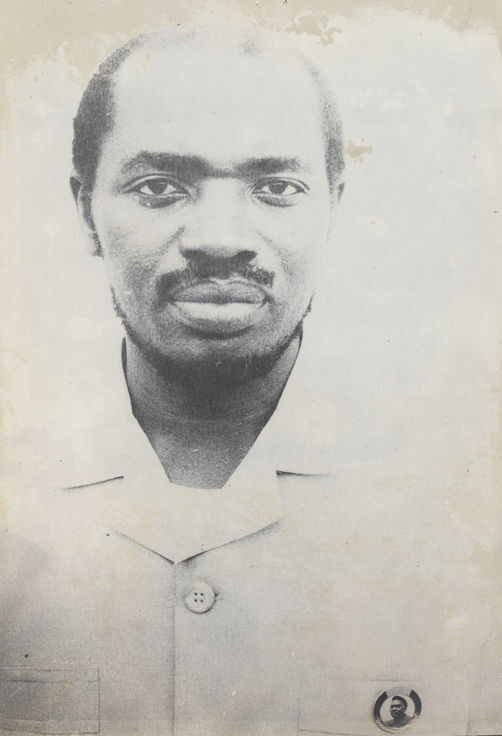 RTLM hate radio reported on the same day from Gisenyi – up north – that the French soldiers had come to “help us fight the RPF”. The broadcaster also said the French would be providing weapons. It called on “Hutu girls” (abakobwa b’abahutu) to put on frocks to welcome the French. 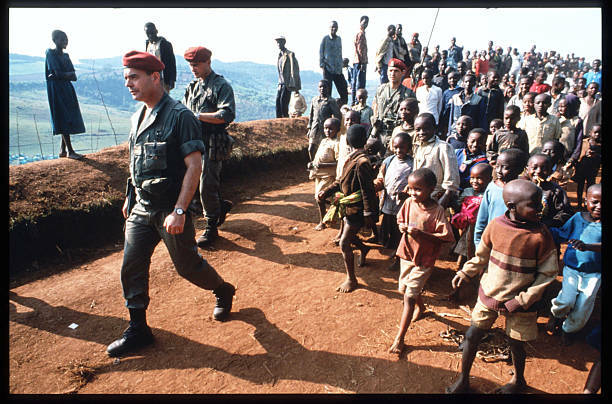 French academic and historian Gérard Prunier has documented rare details leading up to the decision to deploy French commandos to Rwanda. 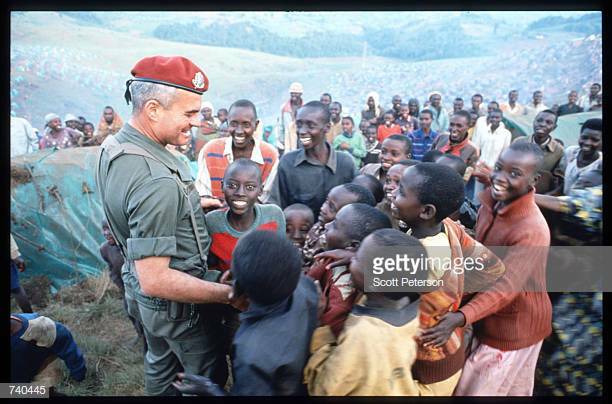 Prunier wrote in 2000 that France’s initial plan was to go to Gisenyi, but decided to enter through Cyangugu to “rescue” the Nyarushishi people. By settling on going in Nyarushishi, according to genocide researcher Prof Linda Melvern, the politicians in Paris saw this as an opportunity to show the world that they were neutral. And so, accompanied by journalists the commandos drove into Rwanda. During the same period, however, according to Prunier, in a less publicized move, French officers visited the ‘interim government’ at Hotel Meridien in Gisenyi. They delivered supplies and equipment. The commander of the retreating former government troops Maj Gen Augustin Bizimungu declared in media reports from the time that his forces would launch an offensive against RPF. It was on June 25 that first unit of 50 French commandos with mass of journalists arrived at the Nyarushishi camp. There are countless images of the deployment. Kamuzinzi remembers them taking cover on the overlooking hills. They set up an unmarked cordon between the displaced in the camp and militia armed with all sorts of crude weapons. What the Nyarushishi camp residents witnessed in the proceeding weeks will remain with the survivors for generations. For weeks, women and young girls in the camp lived through horrific experiences. Samer Muscati, director of the International Human Rights Program at Toronto University law faculty, documented their plight in a book published in March 2012. “The Men Who Killed Me” features testimonials from 17 survivors. Through their narratives and Samer Muscati’s powerful portraits of them, these 16 women and one man bear witness not only to the crimes they and their countrymen endured, but to the incredible courage that has allowed them to survive and flourish. Women raped did not tell the ICRC staff when brought to the clinic – often unconscious. They feared that since the aid workers were “bazungu” (white people), they would point them out to the French soldiers. An Ethiopian contingent of the UN peacekeeping mission UNAMIR arrived on August 21, 1994, to take over from the French to the relief of the camp’s occupants. As the French troops withdrew, thousands of government soldiers moved around Cyangugu mobilising villagers to flee across border to Zaire, now DR Congo. The New York Times reported August 18 that the former government officials who were already in the Congolese Bukavu city sent buses to ferry people telling them the advancing RPF rebels would “kill all of you”. The “shuttle service”, as The Times called them, came into Rwanda daily. By the time the RPF had arrived, hundreds of thousands had abandoned their villages. Thousands had been and continued to be killed in Cyangugu — in the stadium, in the churches and in the bushes — as part of an orchestrated campaign by government and militia to exterminate Tutsi. In interview with The Times, Eliezer Niyitegeka, the information minister at the time, confirmed that buses and trucks were crossing the border to “provide transport for refugees”. Niyitegeka died in March this year from a Mali jail where he was serving life sentence for his role in the genocide. In Kigali, a new government comprising the RPF and other parties had been formed and sworn in July 19, 1994. RPF troops – who were now in government, arrived at Nyarushishi camp in September. “You can’t imagine how happy everyone was when we saw inkotanyi,” said Kamuzinzi in our interview. Cyangugu was within the infamous French “zone turquoise” – covering a large sway of south western Rwanda. While other regions had come under RPF control in early July, it would be weeks later, and eventual pullout of the French, that the entire territory was declared liberated. The new government forces embarked on a resettlement exercise for the survivors. Kamuzinzi with his mother and siblings – like the tens of thousands others began the uphill task of rebuilding their lives. Kamuzinzi’s mother had been a teacher before the genocide, just like their missing father. So she returned to class when schools opened in early 1995. 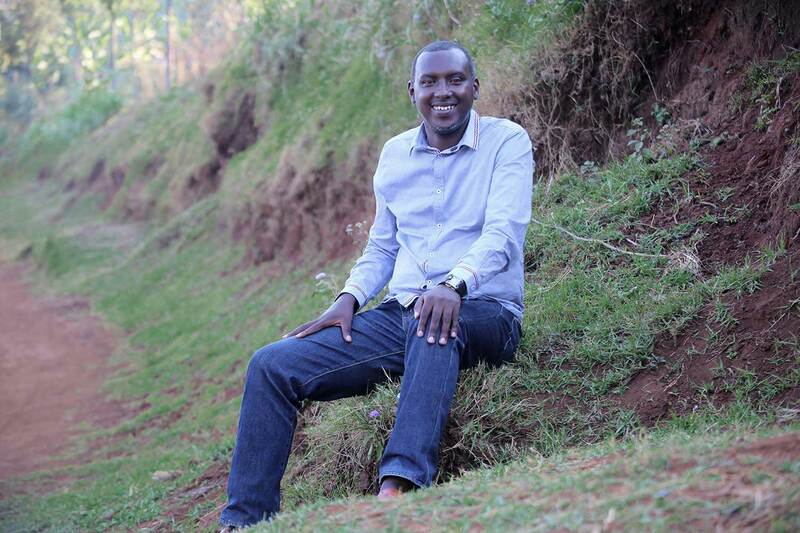 Kamuzinzi went back to secondary school at Karubanda seminary – eventually university in 2001 where despite the hardships at the time, he completed five years later. 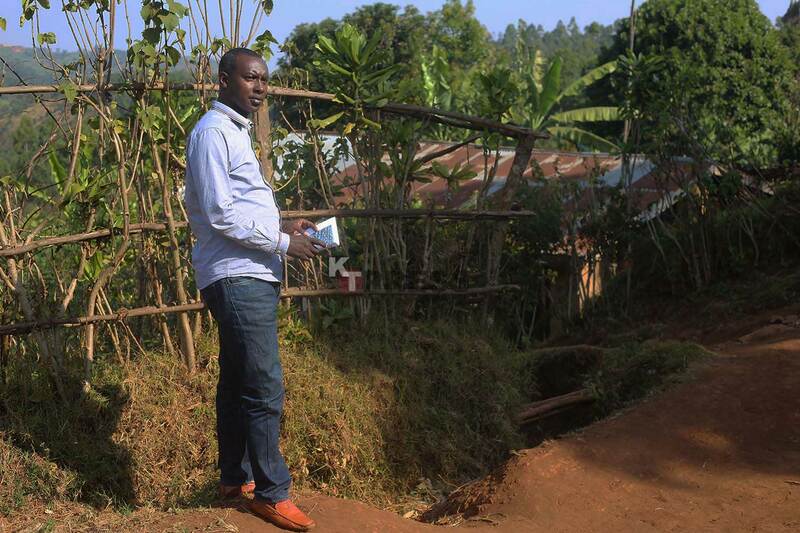 Today, he is a social affairs officer in one of the sectors of Rusizi district. 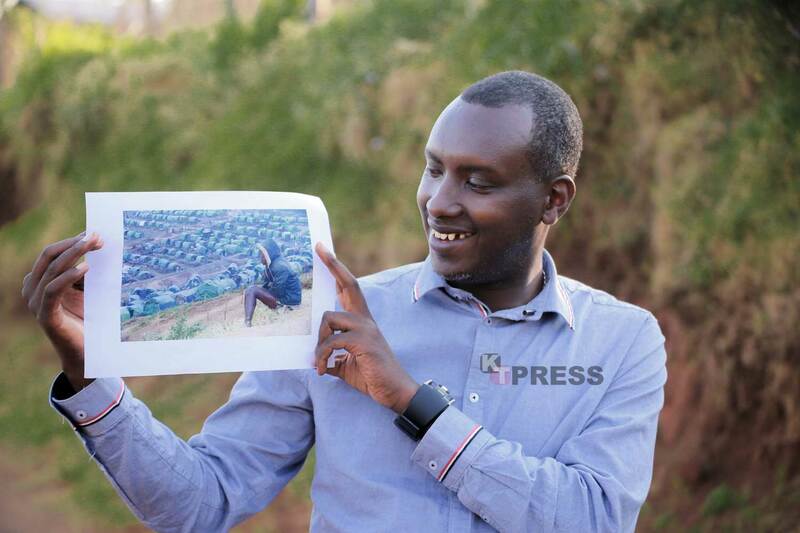 Kamuzinzi tells us he first saw the Nyarushishi camp photo of him in 2015 when he got urge to do internet search. “The feeling just arose so I went online and put the word ‘Nyarushishi’ in Google search. It was among top images. But there were many other photos from the camp showing French soldiers,” he narrated. According to records we have obtained, the image was taken August 25, 1994, by journalist Jean-March Bouju reporting for The Associated Press (AP) news agency. As for the missing father, Kamuzinzi tells us; “We gave his remains a decent burial at the memorial site” on June 23, 2018 when 3,516 newly discovered victims from the region were laid to rest at the Nyarushishi site where already 4,738 were buried. Kamuzinzi got married last year. His wife also survived the horror in Nyarushishi camp. They had a two-month old baby girl when we conducted the interview three weeks ago.